Under sunny weather with optimal asphalt temperature, Roy achieved impressive results. Started with p 2 in both qualification. In race 1 Roy finished at first place but due to a five-second penalty for cutting on the chicane, he got the p 2. In race 2 Roy had a great start, overtook Fittipaldi and led the race until the safety car came to track. 2 seconds before, Rene Binder drove in to the pit for the obligatory tires change and by that he could lead the race till the chequered flag, when Roy make the record of the fastest lap of the race and p 2 in the race. 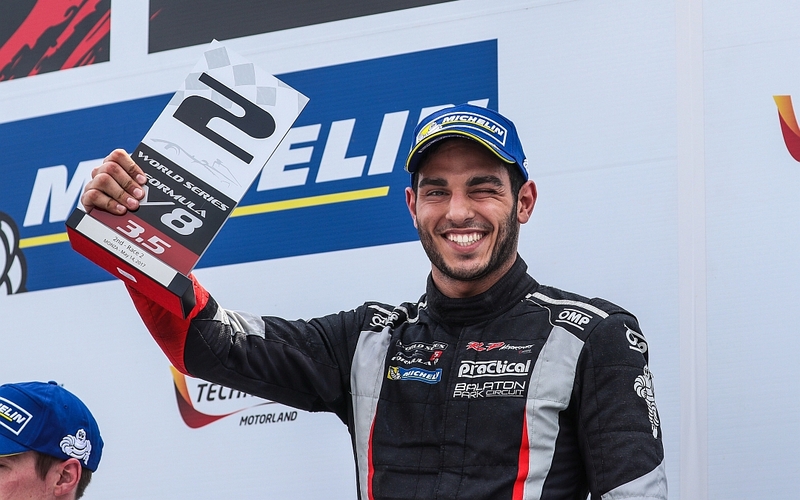 With this achievement the Israeli driver catch the 2nd place in the championship.